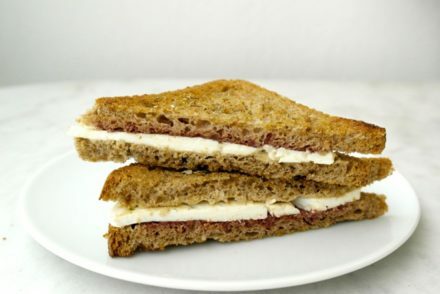 The combination of cheese and fruit is a classic one and common in Greece as well. 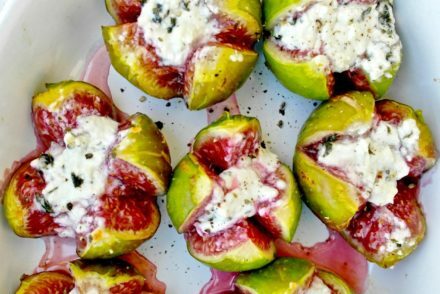 The most popular combinations being feta cheese with watermelon or cantaloupe but also another lesser known combo: Graviera Cheese and figs. Graviera is a Greek yellow semi-hard cheese. Cretan graviera is very popular and made from sheep’s milk, the Naxos (island) graviera also well-known is made mostly from cow’s milk and is a little sweeter. This recipe was inspired partly by this sweet and salty combination of fruit and cheese but also a tart recipe by the Greek patisserie chef Parliaros. 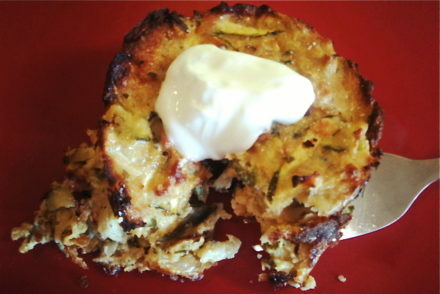 Although his version is a pie with a crust made with butter and the filling with plenty of cream. My version does not contain cream or butter. 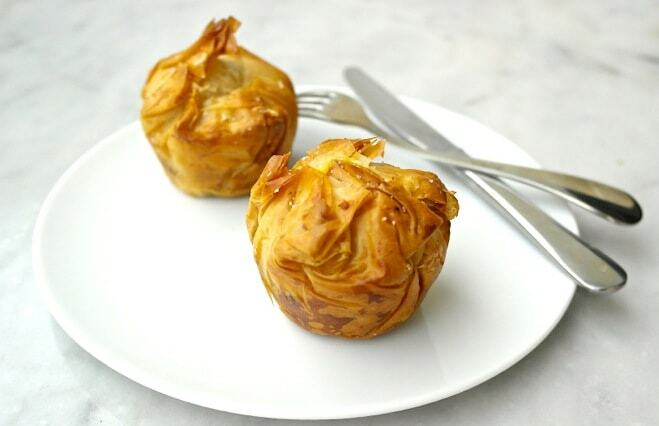 The phyllo is brushed with olive oil and the filling contains a creamy fresh cheese whipped with milk instead of heavy cream. I really liked these. I covered them with the phyllo, but they can be equally nice as uncovered little pies. This was a nice semi-sweet dessert with less fat than your average pie and more fiber as you have the figs in there and more protein, making it more filling. Although this is a dessert, it would work well for an appetizer with some red wine, but also as a snack. 2. In a bowl whip the cream cheese and the milk until fluffy. Add the eggs and sugar and mix. 3. Spread out a phyllo sheet, brush with olive and sprinkle some sugar. Place another sheet on top and repeat brushing with olive oil and sugar. Repeat this 3 times, so you have a total of 5 sheets on top of each other. 4. Cut the phyllo in 6 pieces. You should have 6 squares with 5 layers of phyllo. Place in cupcake containers letting the ends hang out. 5. You fill these in layers or mix everything together. If you do layers you place first the figs, than the cheese, than pour the egg mixture on top. 6. Cover the top with the phyllo, or alternatively you can leave it uncovered and just cut around the leftover pieces of phyllo. 7. Bake for about 20 to 25 minutes until phyllo is golden. 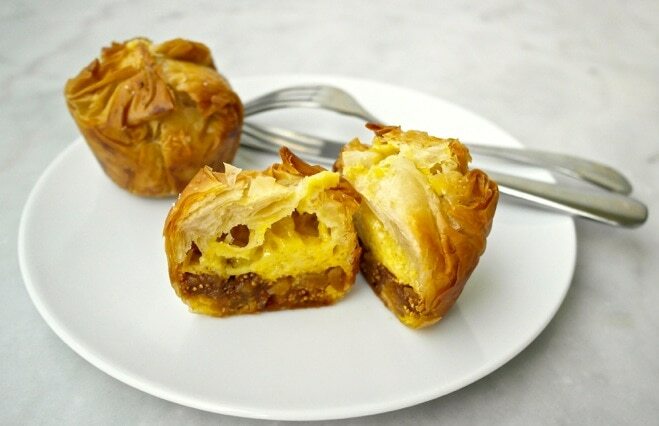 The phyllo pies look wonderful. I have a fig tree that I’m hoping will bloom and bear fruit. This recipe is going into my files. In fact, I may just add figs to my grocery list to try now! Thanks so much for publishing this. Morning Elena , Wish i could have this for breakfast , they look so delicious . I love figs. Got to learn how to make these. Thank you Elena for sharing . Thanks AsiaRuth! These could be an easy on-the-go breakfast.